Cloudbreak Lowlines offer quality stud or commercial lowline cattle for sale for your property, with genetics sourced from along the East Coast, and selectively bred. 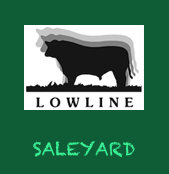 Whether you want to show cattle, buy a lowline bull and cows package to start your own herd, want a young lowline steer to fatten up for on- farm butchery, a lawnmower, or just a pet. Australian Lowline cattle are compact and beefy Angus-derived cattle. Cloudbreak Lowlines are raised on lush kikuyu and clover pastures, on the beautiful Eungella Plateau west of Mackay, Central Queensland, where the Platypus play. 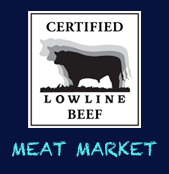 We offer Eungella Lowline Beef - superior quality ethical beef; grass fed, free range, hormone free, low-stress, tender and juicy pure Certified Lowline Beef, just like it was meant to be. Covered in lush Kikuyu and Clover pastures, Cloudbreak grows well-marbled, tender, flavoursome and beautifully textured beef, nurtured from our paddock to your plate. Straight from our farm, processed by a quality country butcher, and delivered to your home. We offer bulk sides of Eungella Lowline Beef, cryovacced for your convenience, and delivered locally. Save money by bulk buying, one flat fee per kg.